Who wants an African style in their hairs? That twisty curly look like Jill Scot or Lauren Hill or, as like as misandei from the game of thrones if you have longer hair. Nowadays many people are accepting hairstyles apart from their original look. There are many styling kits for doing such things. Like sponge twist or twist sponge. Black hairs are usually curly and twisted. Other than that you can you can get your hairs wet, and twist it then by air drying it you can get a natural twist. But this is too much time-consuming. What is a Twist Sponge? Why Do You Need to Know Details about the Twist Sponge? The twist sponge has tiny holes that will serve like suction holes that will be able to grab various strands of your hair in order to twist them in various pieces. This will make curling your hair easier because it would normally take hours before you can achieve the type of curl that you want, right? With a twist sponge, it will only take minutes. This is a hair product that is not only used by women, this is used by men too who would like those spiral curls to be evident. You have heard so many people praising their twist sponge and you are curious if it would be helpful for you as well. 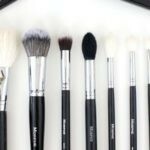 You would like to know how you can use it to maximize the amount of time you are going to spend on improving the appearance and the condition of your hair. Even if you choose to purchase twist sponge, it will still be pointless if you do not know how to use it. Twist sponge brush is a range of hair styling kits. These products are highly recommended by experts to its premium high-grade foam technology to ensure great durability and longevity. The new range of product comes with a newly improved groove design, four-layer foam technology, and premium quality material. 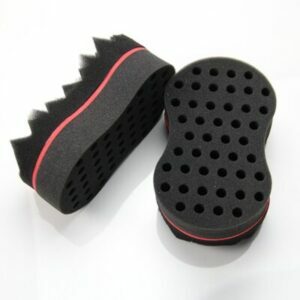 Cherir premium hair sponge: This product comes with most effective results, smaller holes, high-quality material. But it comes with a higher price. Vogani: This product is well known for keeping hair quality intact. It never damages your hair. Much easier to use or travel with. But it is expensive than others. Twist Magic barber sponge brush studio limited: This is your best choice if you got long hair. Also, comes at a cheaper price. But it has less durability thus the twist won’t last long. Afro Twister: It is easily available. Takes fewer minutes to apply. But it doesn’t effective for hair longer than 7 inches. Magic twist hair sponge by black ice: It is cheaper and can be applied on fine hair. But the twist won’t last long. Perfect twist 2 in 1 sponge: This can be used in both wavy and curly hair. It’s also eco-friendly. But it is needed to be replaced after a few use. 2 in 1 hair sponge by Riorand: This is another 2-way sponge for both long and short hairs. 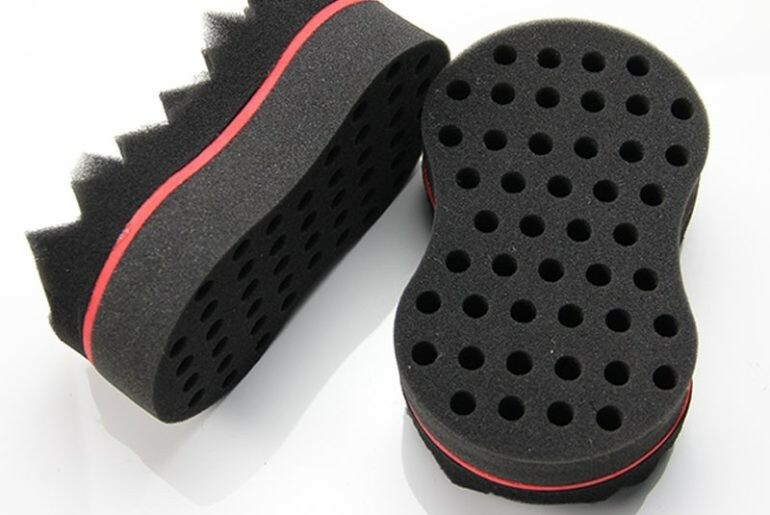 Black ice magic twist sponge brush. Choose a hair sponge that will best fit the type of curls you want for your hair. Consider the brand of the hair sponge. Some may be trusted more than others. Check out the reviews before buying a particular brand. Check the material of the hair sponge. Are the hair sponges made out of quality materials? You also have to consider if the hair sponge is easy to use or not. Twist sponge brush using method is simple. By using the following method you can get twisted hair in seconds. Fully pick out the hair. Slightly damp the hair with water. Apply CP styling crème throughout hair. You can also use other styling cremes. But we recommend using this. Use the Twists Sponge and go in clockwise circular motions. Make sure to apply Light pressure, do not press heavily. Go from one section to the next section. 1.Use it on straight hair. This specific product is meant for naturally textured, coarse hair. 2.Use it on dry hair. To avoid breakage from the friction of the sponge material, style with slightly damp hair. 3.Press heavily on the hair. 4.Spin in different directions. Keep your direction of spinning consistently throughout the entire head. Don’t completely saturate your hair with the product. Use a dollar amount. Find your crown. The slightly bald space in your head from where hair started to grow in a different direction. Apply twist from there to the directions that your hairs grew. Don’t apply too much pressure. Use different sponges for different results. Be patient with your hair. Don’t wash your hair every day. 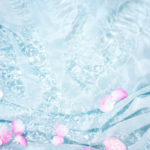 Rather than use oil and other products to maintain a healthier hair. For the ultimate result, continue twisting your hair after applying sponge twist. You can buy twist sponge from your local shop. The full kit set will cost approx 24-25$. Besides you can also buy it from Amazon or from official twist sponge websites. I personally find women with curly or twisted hair with a pretty face sexier than others. So if you want the look to grab a twist sponge. Apply it. And get attention on your new look. Be beautiful, stay beautiful.